I was truly moved by reading Love Is Never Past Tense. Janna brings to life the true story of her torrid love affair that unfolded during the Cold War Era, proving that love in the Soviet Union was anything but cold. The lovers do not live out a fairy tale romance but must genuinely struggle to overcome societal pressures and family expectations in order to hold on to one another. Add to this a dangerous scheme to defect to the USA when malevolent forces threaten her life, and you have the makings of a genuine thriller. I love the way Janna writes. From one paragraph to the next, you never know what to expect. This book did not insult my intelligence, like a lot of pop culture novels. It is intellectually engaging, written in a manner that Hemingway would have respected. It not only granted me the opportunity to see the U.S.S.R. from the inside like I had never seen it before, but it also brought back many memories of a time when I feared all Russians and had no understanding of what they were personally living through across the ocean. I enjoyed this book so much that I approached Janna about adapting it into a screenplay, and we are currently in the process of shopping the completed script around. But do not wait until the film is made to hear her story. I highly recommend her book – love, suspense and history at its best! This book is gripping from the first page. Janna brings to life a torrid love affair that unfolds during the Cold War Era, proving that love in the Soviet Union was anything but cold. There is no mushy romance here, but a genuine struggle to find love in spite of societal pressures and family expectations. Add to this a dangerous scheme to defect when malevolent forces threaten her life, and you have the makings of a genuine thriller. I highly recommend this read. Love, suspense, and history at its best! This book is gripping from the first page. Janna brings to life a torrid love affair that unfolds during the Cold War Era, proving that love in the Soviet Union was anything but cold. There is no mushy romance here, but a genuine struggle to find love in spite of societal pressures and family expectations. Add to this a dangerous scheme to defect when malevolent forces threaten her life, and you have the makings of a genuine thriller.I love the way Janna writes. From one paragraph to the next, you never know what to expect. This book did not insult my intelligence, like a lot of pop culture novels. It is intellectually engaging, written in a manner that Hemingway would have respected. It not only granted me the opportunity to see the U.S.S.R. from the inside like I had never seen it before, but it also brought back many memories of a time when I feared all Russians and had no understanding of what they were personally living through across the ocean. Love Is Never Past Tense… was as much of a cultural experience for me as it was an enjoyable read. The novel did an excellent job of immersing me (an American reader) in Russian culture, through the eyes of a character experiencing extremely turbulent times for that region. One thing I particularly enjoyed about this book was the relationship between the two love interests. This isn’t some Disney fairytale – their relationship is messy, passionate, subtle, and always complicated. In short, it feels like a real relationship between two evolving personalities. As such, I kept turning the page to see how the two love interests would end up, since it wasn’t predictable from Act 1 (like so many fairy tales are). Also, watching the main character as she struggled to escape the Soviet Union’s collapse (with a young daughter and elderly mother in tow) was captivating. This section of the novel is written in vivid detail, and we’ve spent enough time with the characters by this point to have real concern for their outcome. Love Is Never Past Tense… was a fun read, and I’d highly recommend it. “Dramatic Love Stories” is certainly the correct category for this book. You don’t need to take my word for it. Here’s a review from a reader. 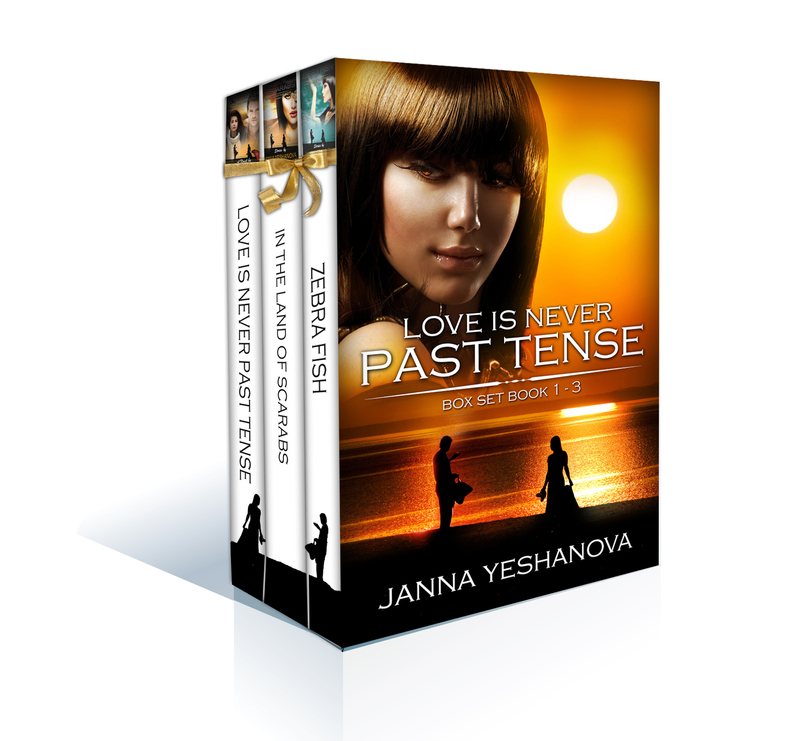 Love Is Never Past Tense…A remarkably passionate novel of star crossed lovers embarking on an adventure of a lifetime. 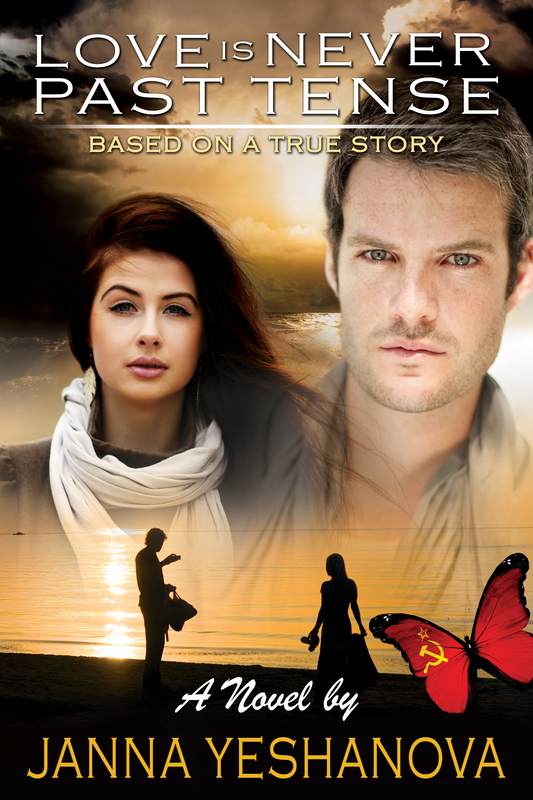 Set in a country of turmoil; during the collapse of the Soviet Union, two fearless lovers unite. Instantly they are drawn to each other, unmistakably aware that it is more than an instant attraction that has brought them together but unknowing what the future holds for them. The story begins on a gorgeous black beach in Russia and gradually takes the reader into the depths of passion and exhilaration which is only indicative of beginning love. Unfortunately, the country is torn due to political issues and difficult decisions must be made that will put the wheels in motion and have lifelong effects with irreparable results. Their love affair takes them, and the reader, through emotions of admiration, infatuation, lust, fear, hostility, and dreadful misunderstandings that lead to compassion and compromise. This novel evoked my feelings of undeniable hope and optimism that resonated in the pit of my stomach. It held me and refused to release me until I surrendered to emotional exhaustion at the same time uplifting me to become strong in their strength, to become passionate in their passion and to reveal my own desires through their courage. I dare you to become part of the adventure.